First, a shaker card created with the Celestial Paper and The Firmament digikits. I also used a Stylish Star die to create the negative space for my shaker element. 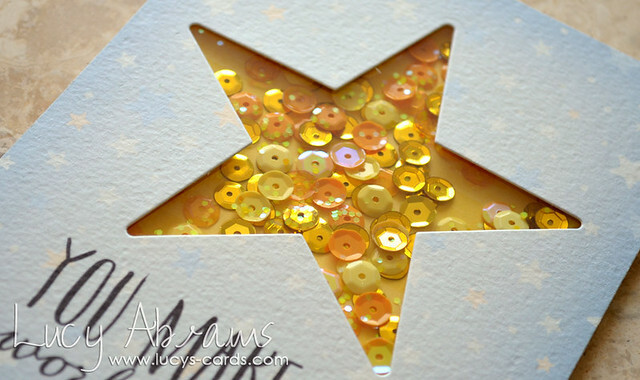 I filled it with my yummy Doodlebug sequins and chunky glitter (click here to see my independent product review of these awesome sequins). 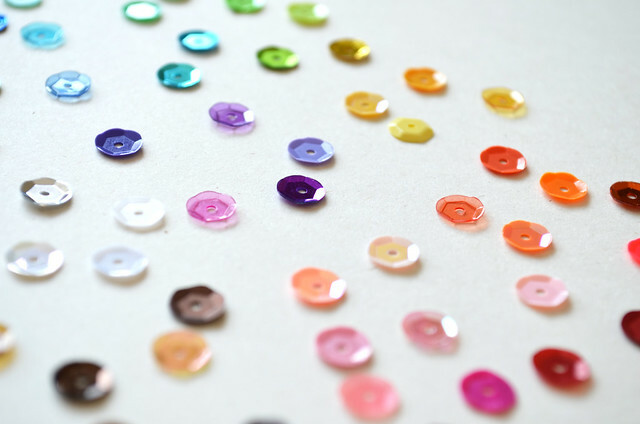 Yummy yummy sequins…. oh how I love you. 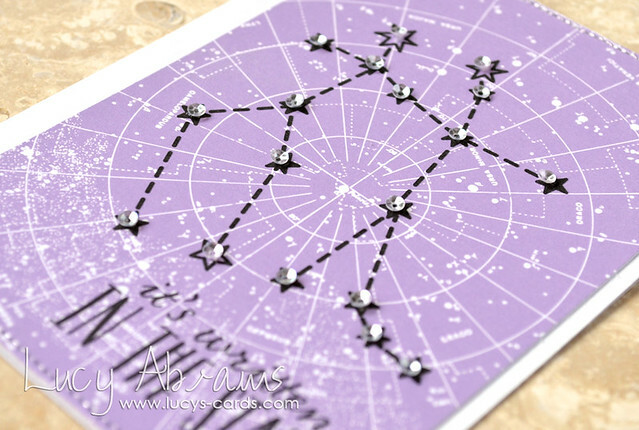 Next, a card created with the Constellation Printable and The Zodiac and The Firmament digikits. Did you see, there's a 20% off store wide sale at twopeasinabucket.com. Just popping in today to share a Father's Day card I made for my two little girls to give my husband. 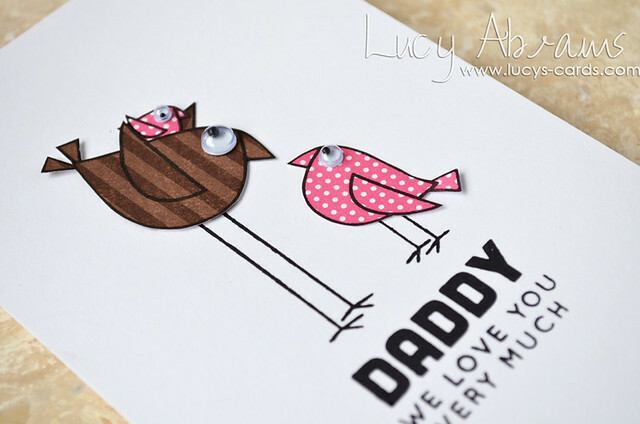 I thought the little birds in Simon Says Stamp's We're Expecting set were perfect for Father's Day. 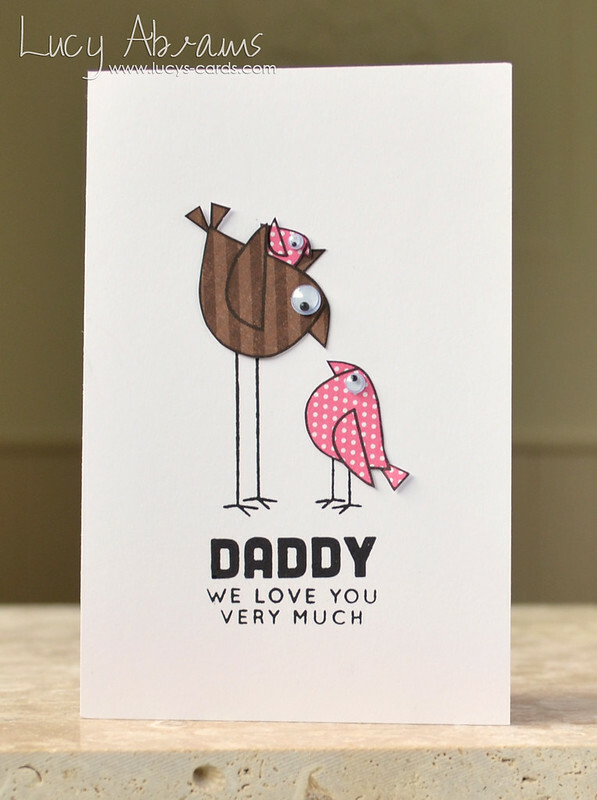 The sentiment is from their Father's Day set. And as my husband thinks a card is not a card unless it has wiggle eyes, I added some to my little birdies. Have a great day. It's wet and miserable here. Hello, and welcome to my first 'Lucy Recommends...' post where I will share a closer look at a product that I have bought and love. I always enjoy seeing what other people are playing with, and often wish I could get a closer look at the product itself before committing to buying it… so I thought I'd try it out. If you like the post, please let me know and I might do another one in the future. And please note, the products I will share will be ones that I have personally selected and purchased - these will not be sponsored posts. Today, I decided to show you some sequins. OK - I, like the rest of the crafting world it seems, am into sequins at the moment. And there are loads to choose from. 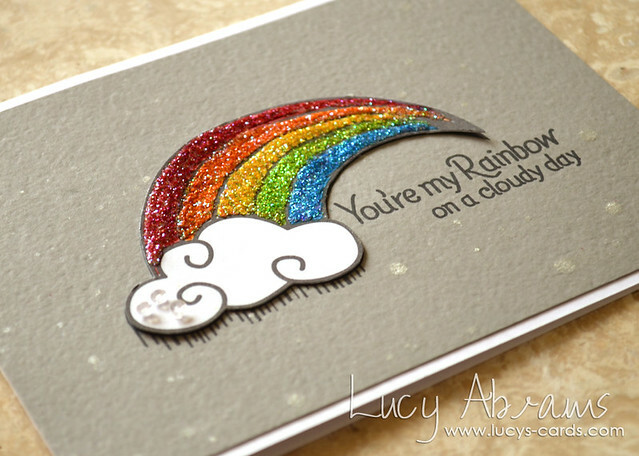 Very recently I purchased Doodlebug's Rainbow Assortment Sequin pack. Before buying the product, I hesitated, as I wondered how many sequins I was actually getting for my money - the bottles are so tiny. And it's SO hard to judge a product by the picture on the shop website. 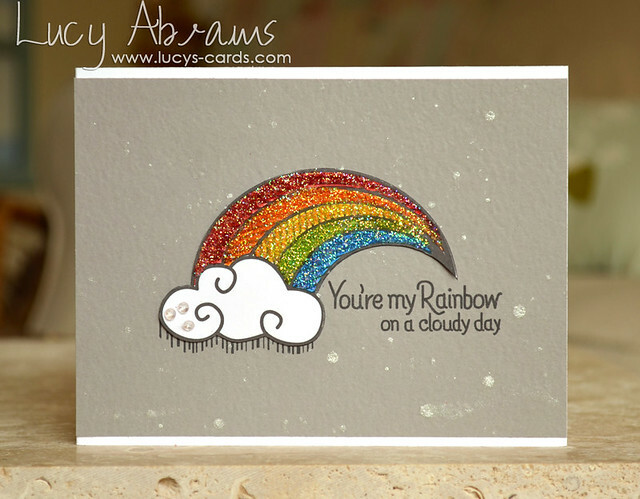 But I took the plunge as I desperately wanted a rainbow selection, and I am VERY glad I did! 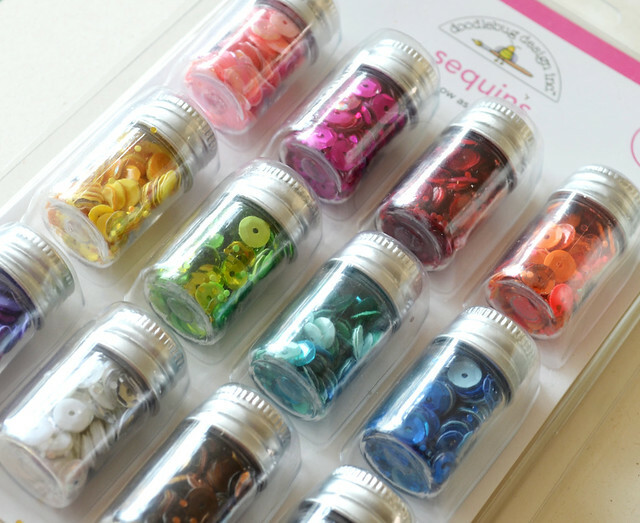 Each little bottle contains 6 different colours of sequin. So that's 72 different kinds of sequin in the selection. I was VERY impressed. Here you can see almost all of them in a bit more detail (they were hard to photograph, and some of them look a bit similar, but I assure you, all are different). Some are clear and some are opaque. Some are iridescent. I emptied out one little bottle to give you an idea of how many you get. And it's more than I imagined. In fact, they've crammed so many into the pot that I could not get them all back in again after taking this photo!! All in all, I highly recommend this product. 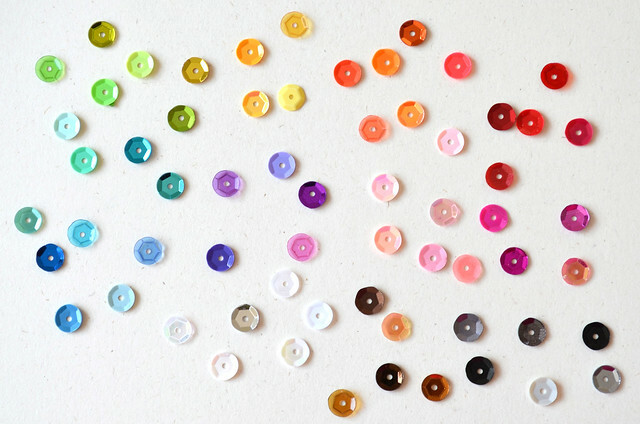 If you want to start a sequin collection, this is the perfect way to begin. This pack offers every colour you could ever want and will last ages. 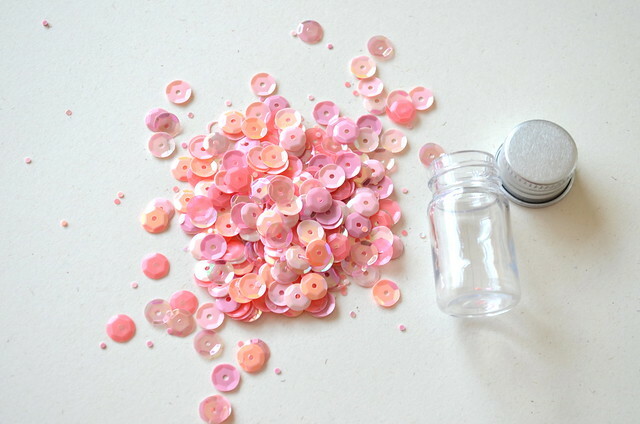 Plus, when the sequins are gone, you've got the cute little bottles left over to fill up with beads, glitter or even more sequins. Yay. 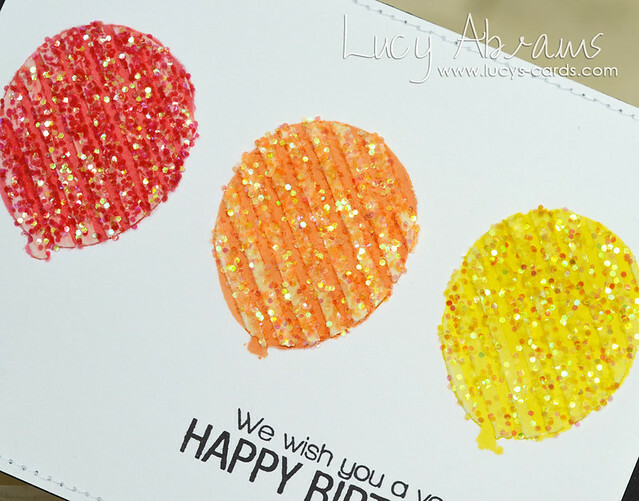 (These sequins are available HERE at Simon Says Stamp (for my US readers), or HERE at The Glitterpot (for my UK readers). So that's it. My first 'Lucy Recommends…' post. I die cut the Tic Tac Toe Hearts die from the map paper in the kit, and again from a Post-It note. 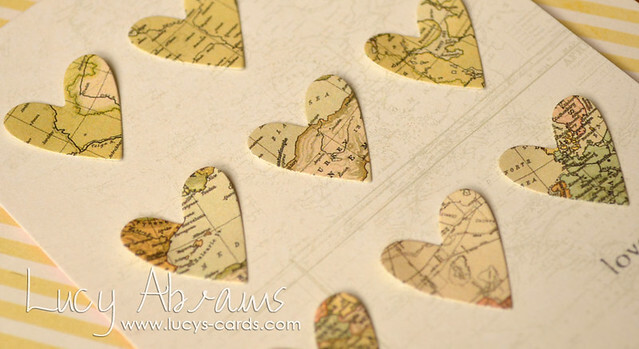 I used the negative of the Post-It die cut to place my hearts onto the white map paper (which is die cut with Hero Arts Frame die) before adhering them in place. The sentiment is stamped in Hero Arts Charcoal ink for a softer look. I love this map paper… such pretty colours. Right. That's all from me today. 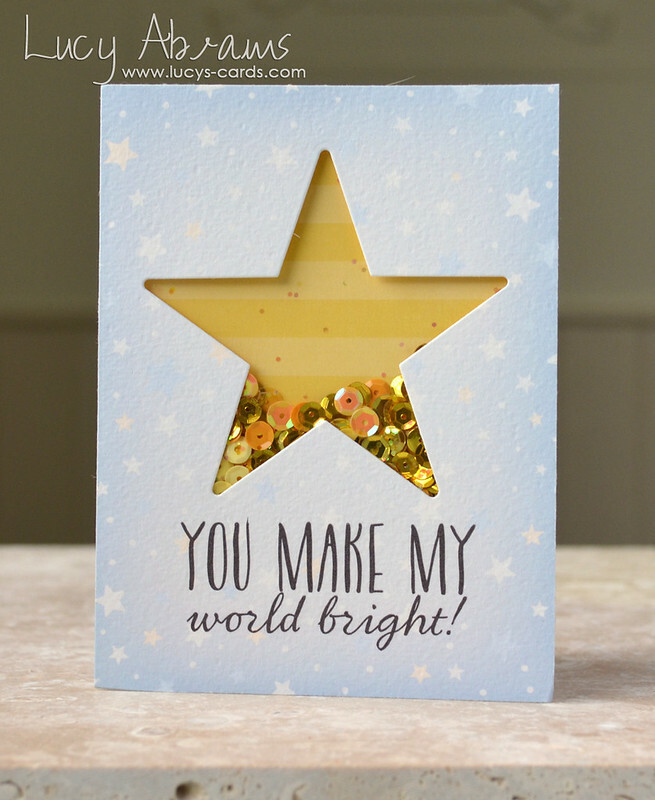 Hello, and welcome to Simon Says Stamp's Pure Sunshine Blog Hop. If you have arrived from Kathy Racoosin's gorgeous blog, I bet you have just been stunned by something AMAZING. (BTW, Kathy is not only unbelievably talented, but also one of the kindest, sweetest and most generous people I've ever had the pleasure of meeting). 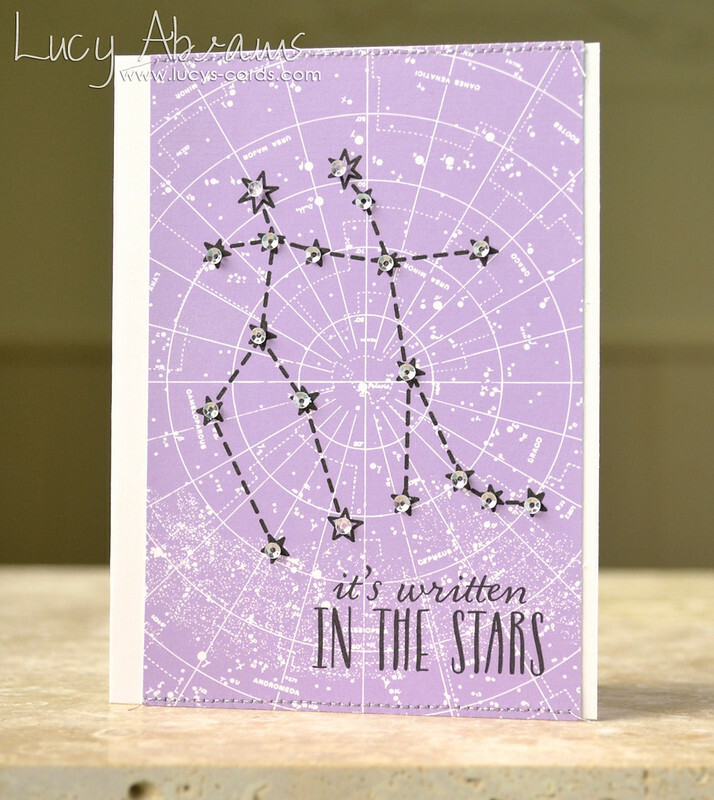 So… today sees the release of Simon Says Stamp's newest products. And they sent me some to play with. The adorable Balloons and Patterns Stencil Set contains 4 cute 3 x 3 stencils which can be layered over each other for some fun results!! 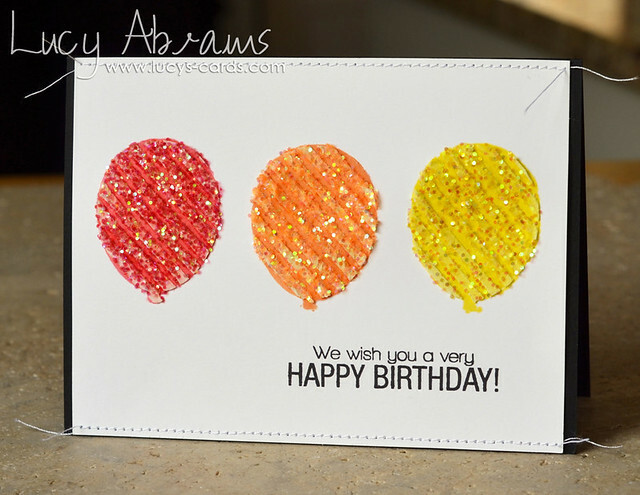 For my card, I first inked the balloons with Hero Arts shadow Inks (Pale Tomato, Orange Soda and Lemon Yellow). Then I adhered the stripe stencil on top of the balloon stencil, and smeared over white embossing paste. 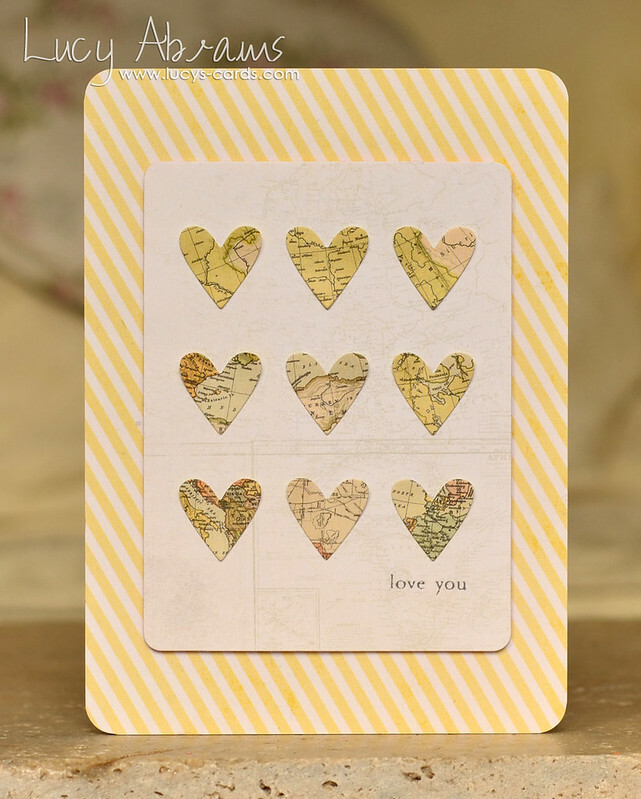 Once I'd removed the stencils, I sprinkled the balloons with chunky Doodlebug glitter. Here you can see the stripes a bit mote clearly. Layerimng stencils is FUN!!! Look HERE to see the release in full. It's another good one! !